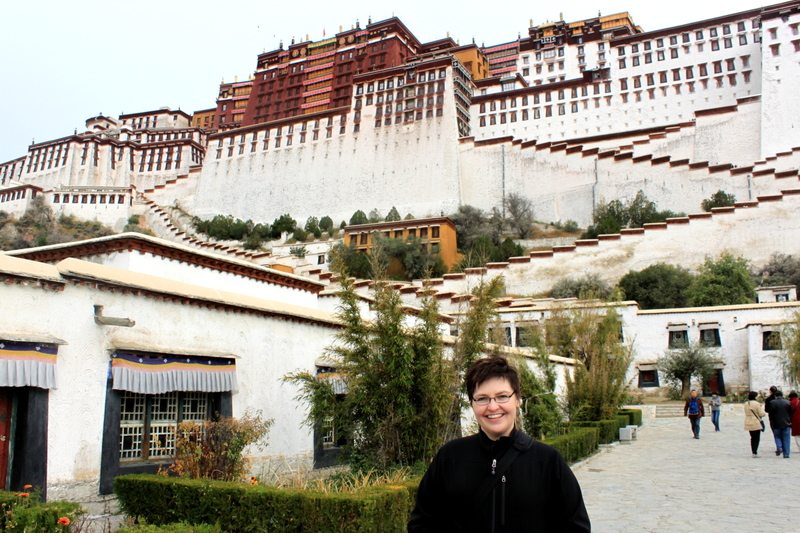 A big “Thank You” to Violet, who put up with our many back-and-forth emails to plan the short trip, and made sure all the paperwork and permits were obtained and arrived to us in time. 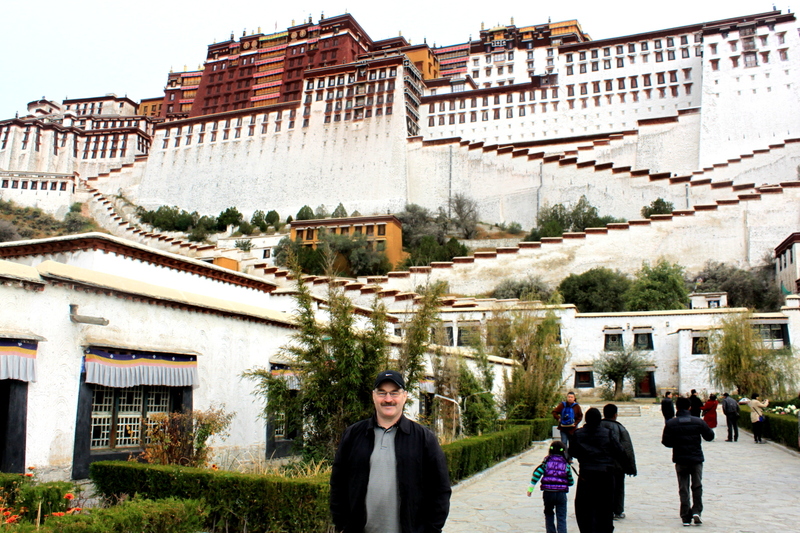 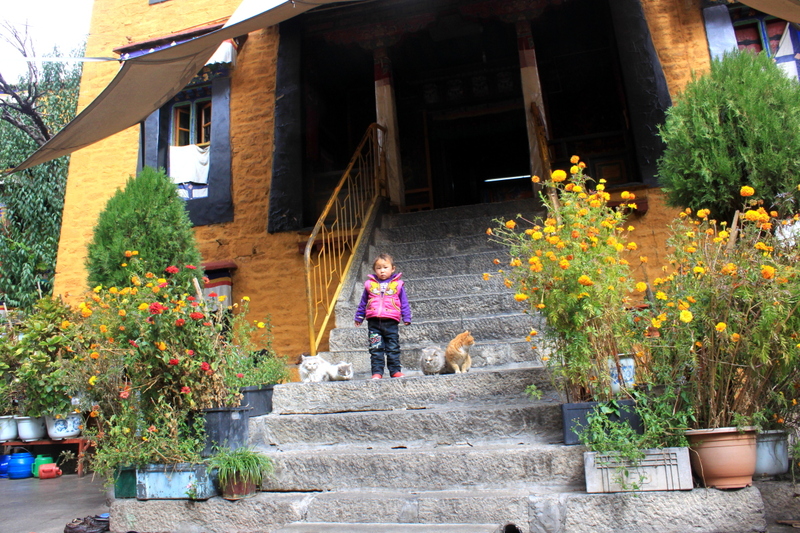 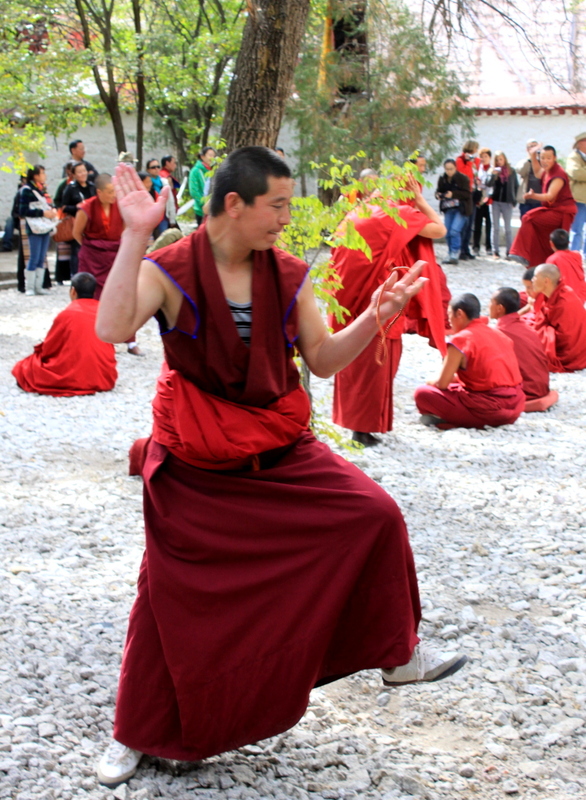 Also a big “Thank You” to Nema, our marvellous guide for the time we were in Lhasa. 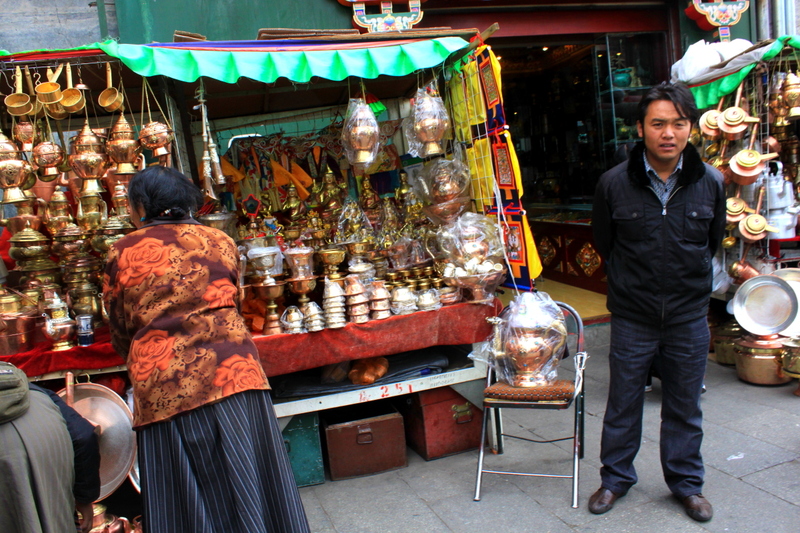 He was very knowledgable about the historic buildings and the religious context. 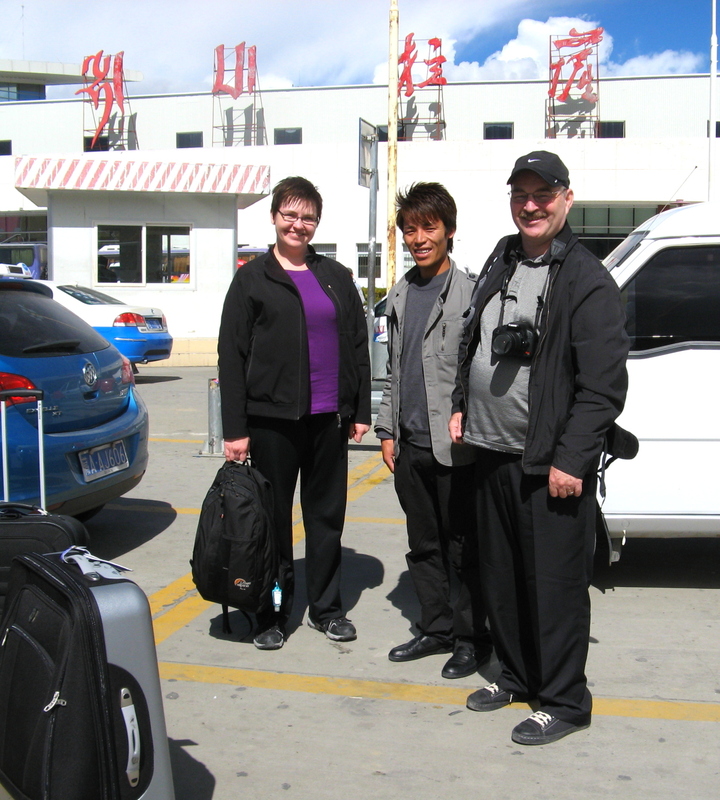 Kellie and Maurice with our great guide, Nema. 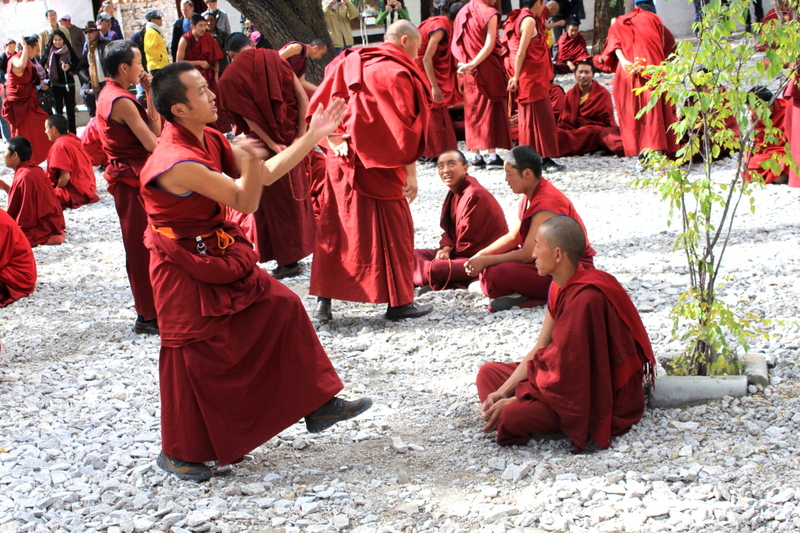 At the time we went, foreigners needed to obtain a travel permit and be accompanied by a guide. 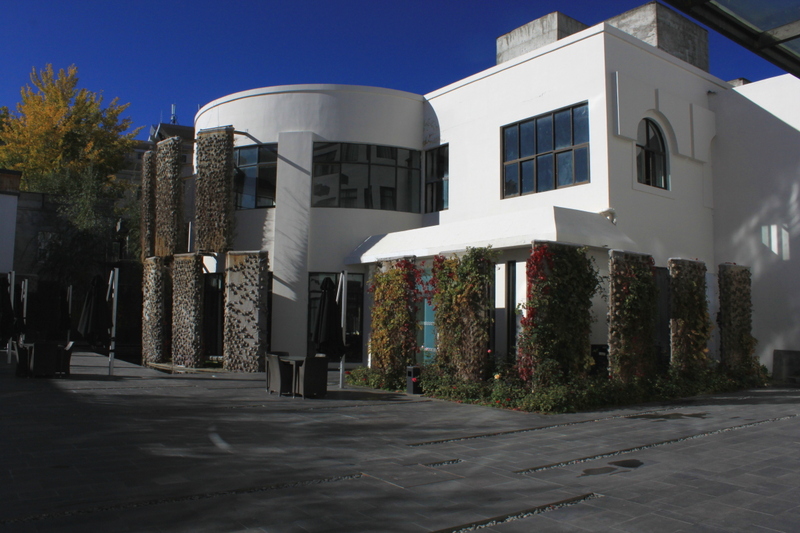 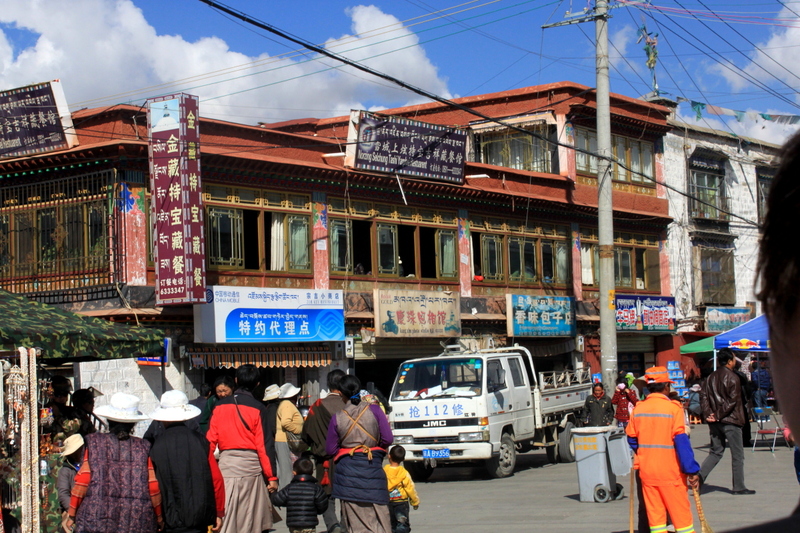 This was arranged by Access Tibet Tour Service, and they also made sure that they applied for the travel permit (which could only happen 10 days before arrival) and sent the permits to our preceding stop, our hotel in Xi’an. 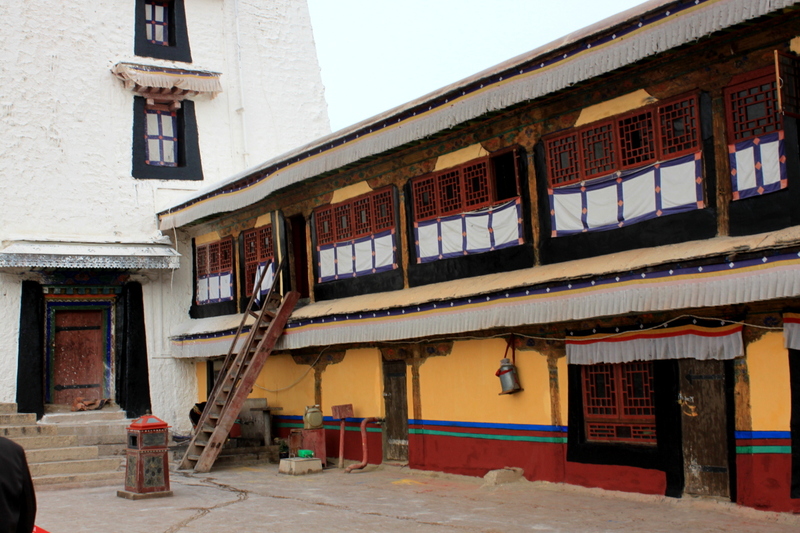 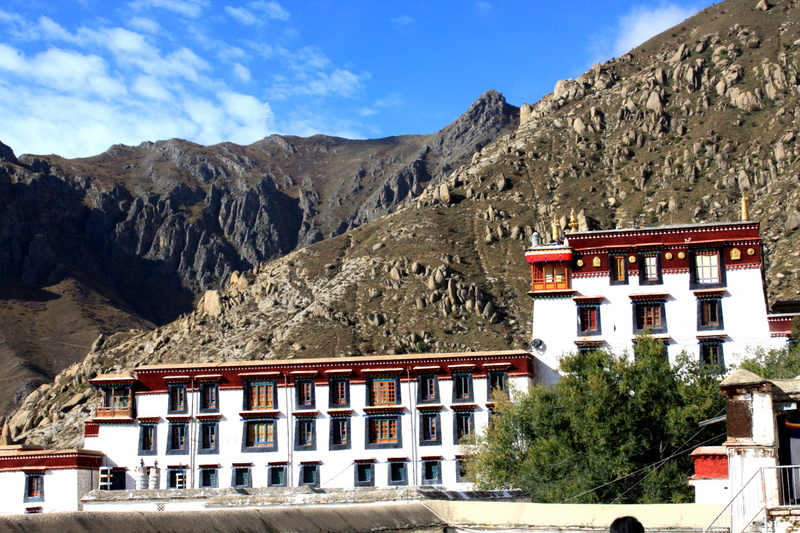 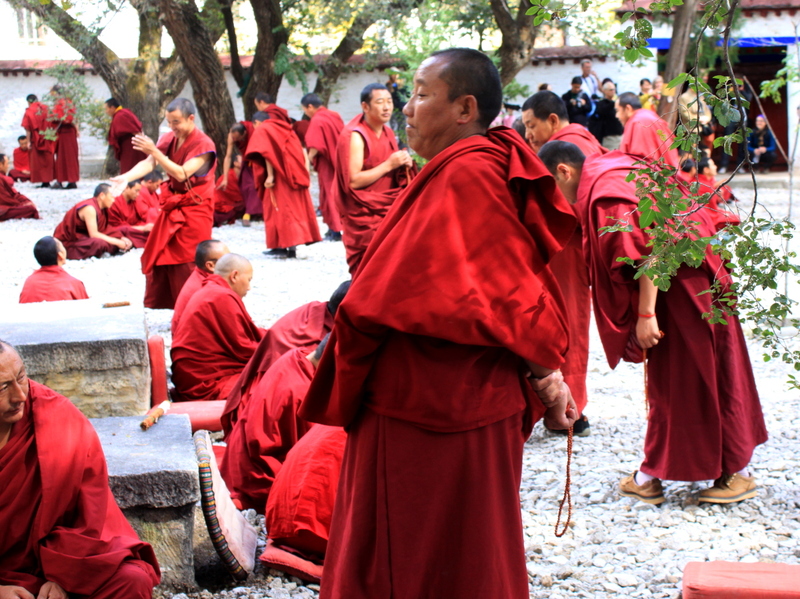 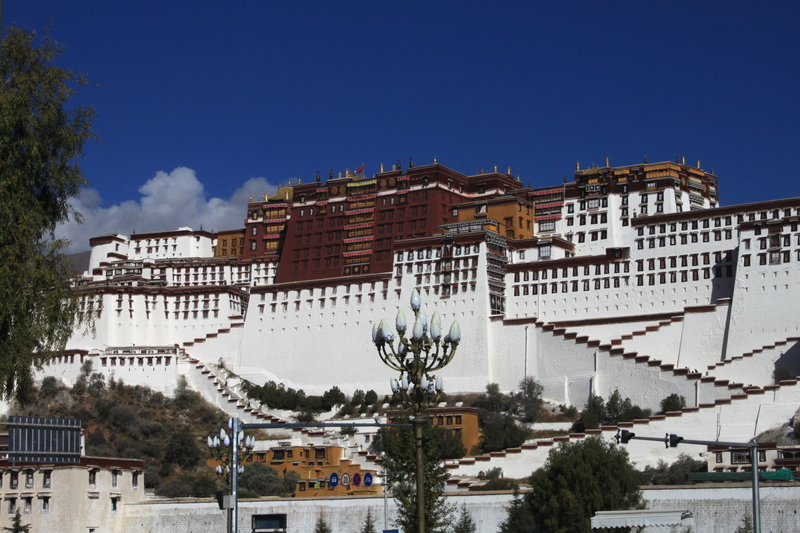 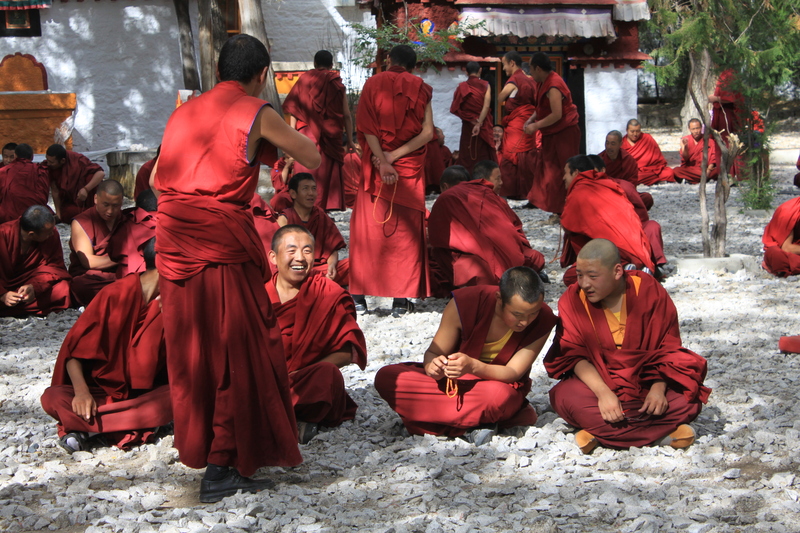 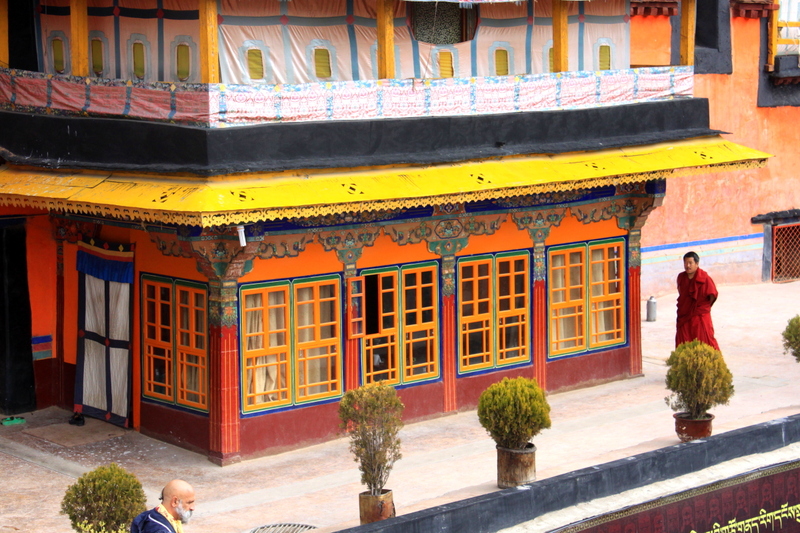 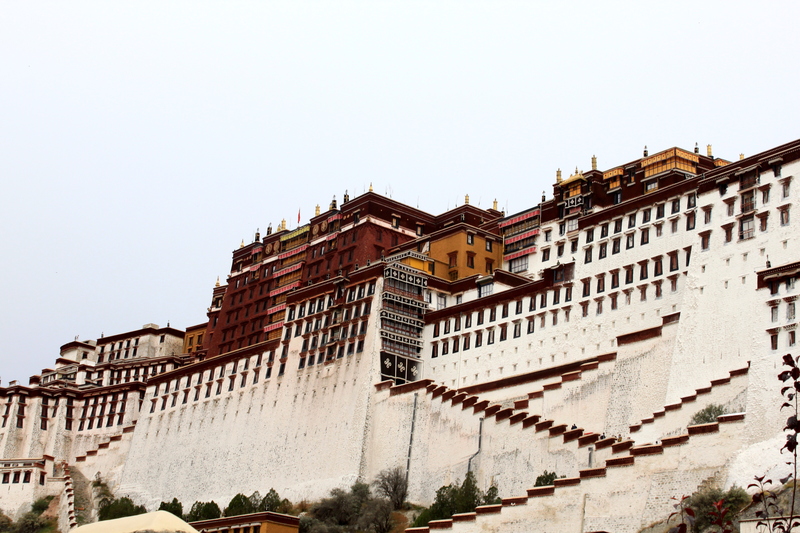 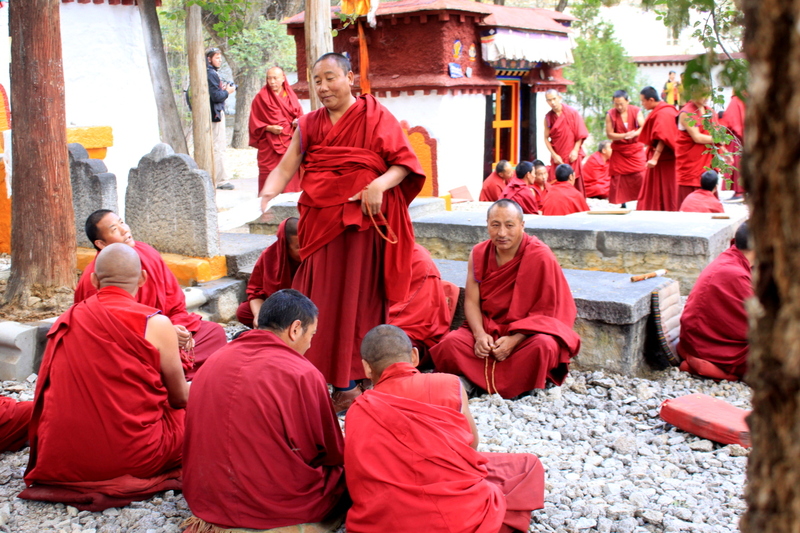 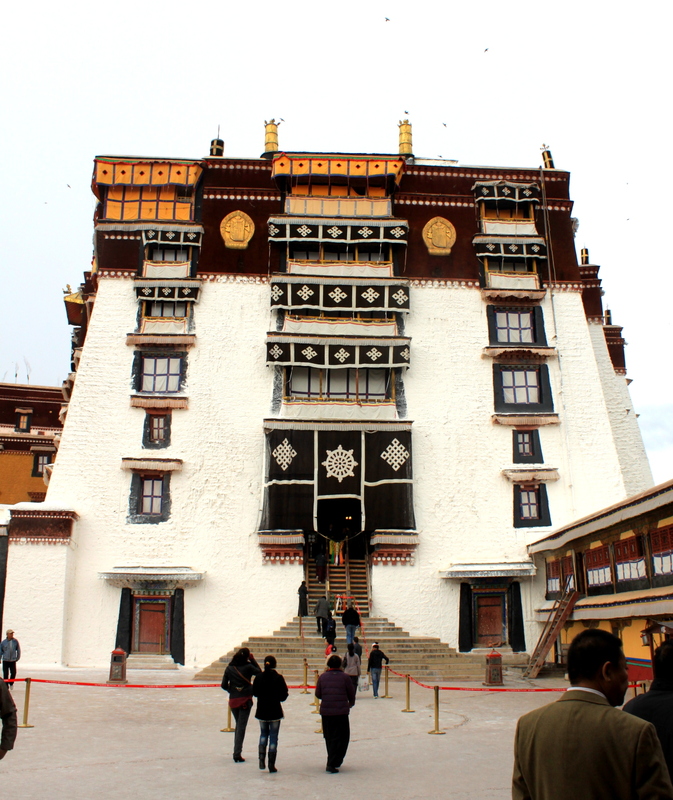 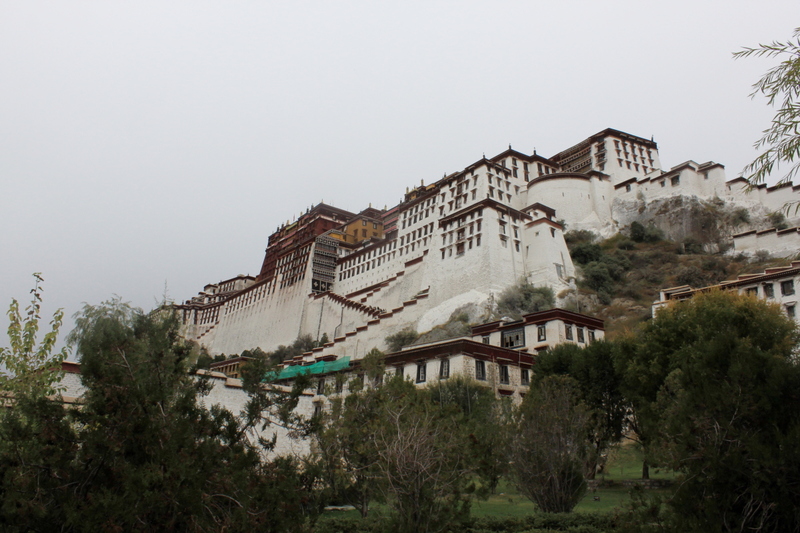 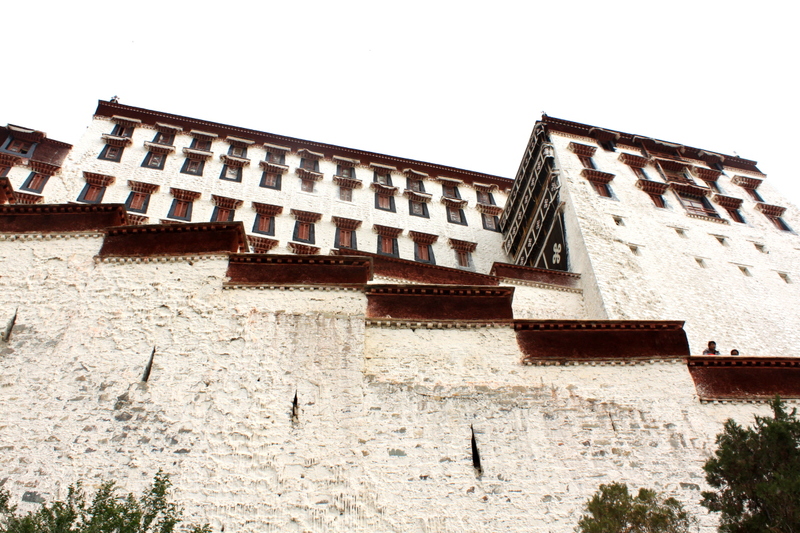 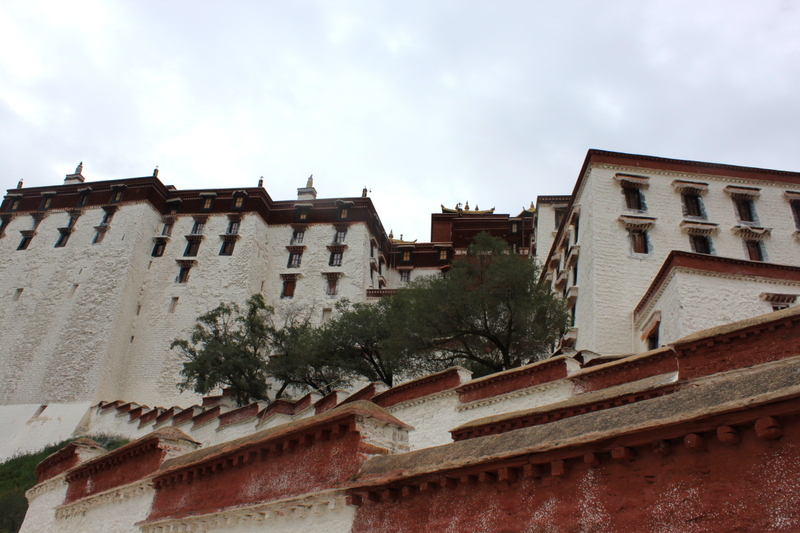 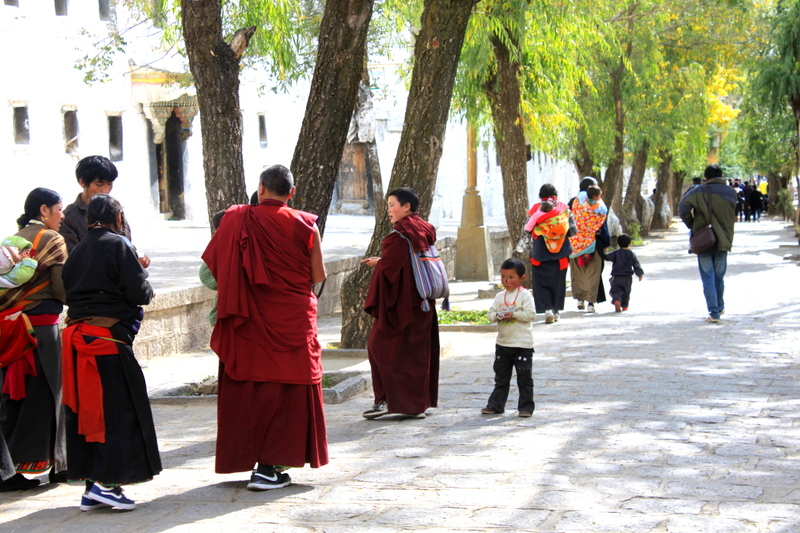 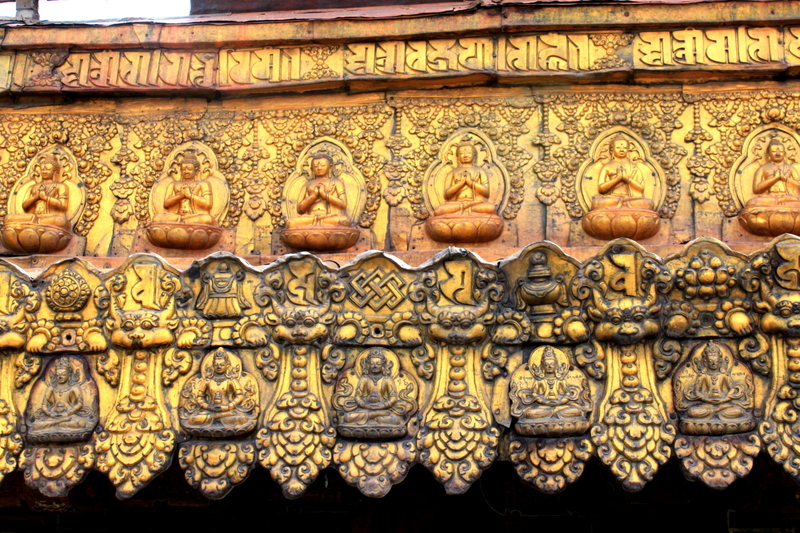 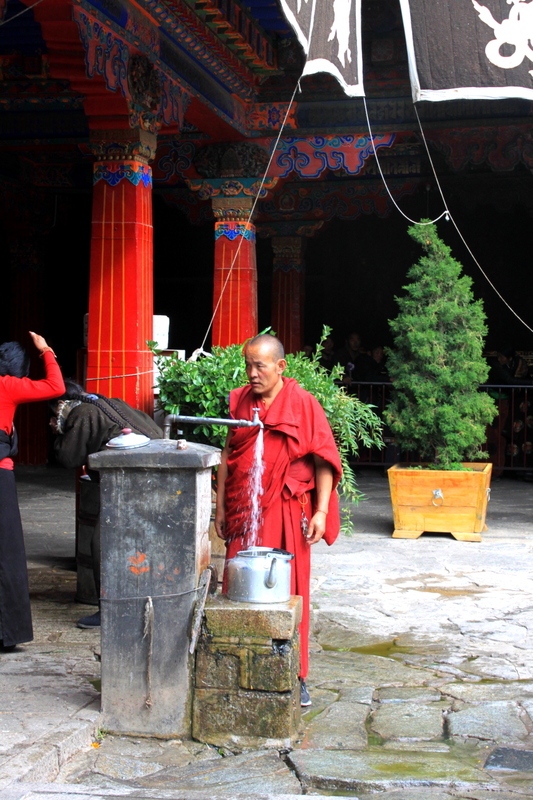 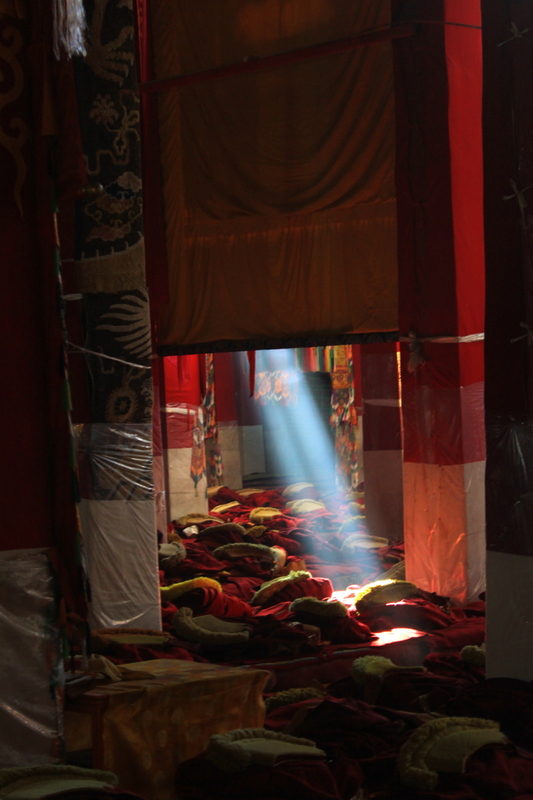 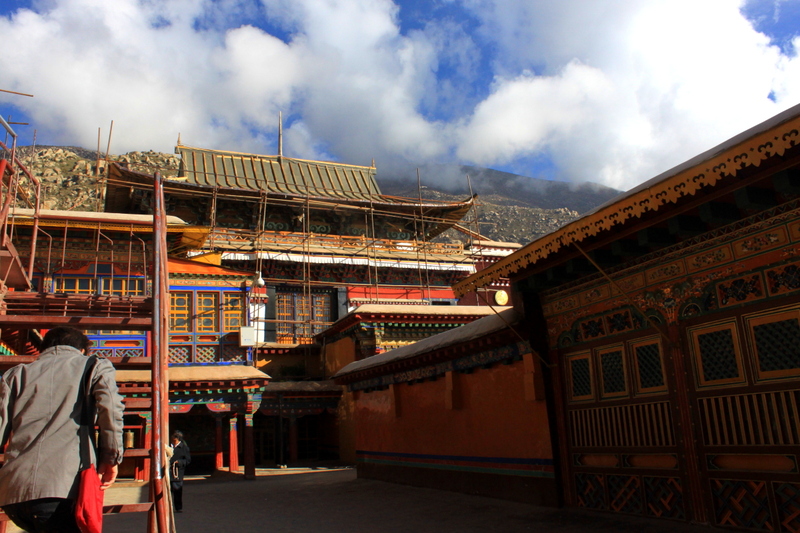 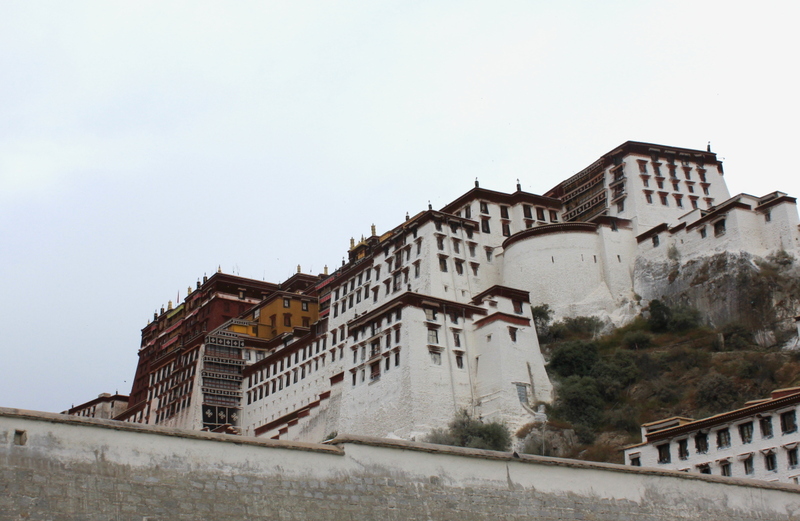 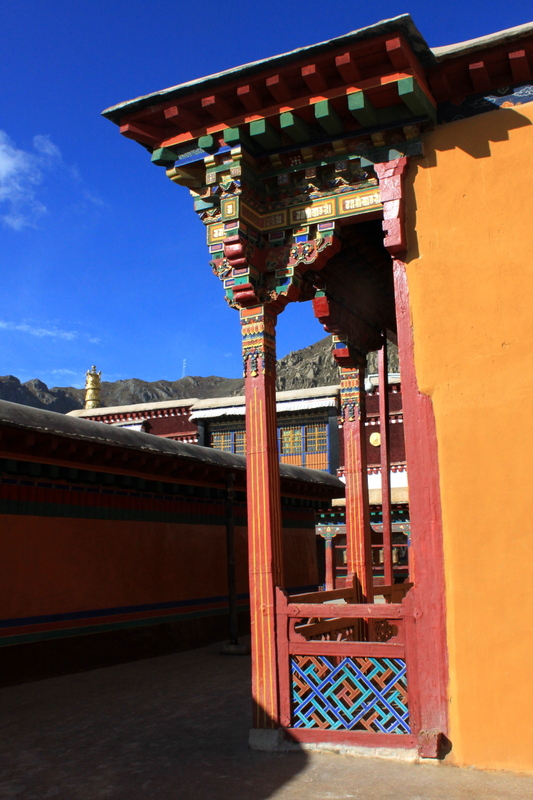 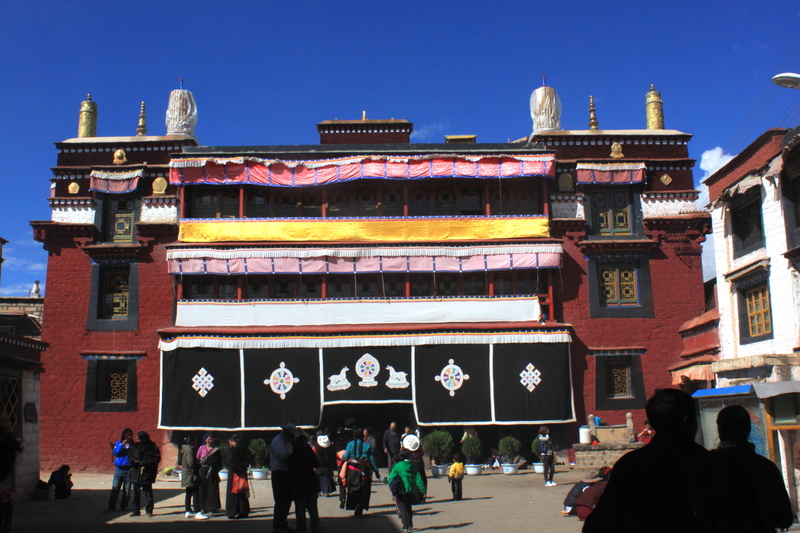 A UNESCO World Heritage site, and the Winter Palace of the Dalai Lama since about 600AD. 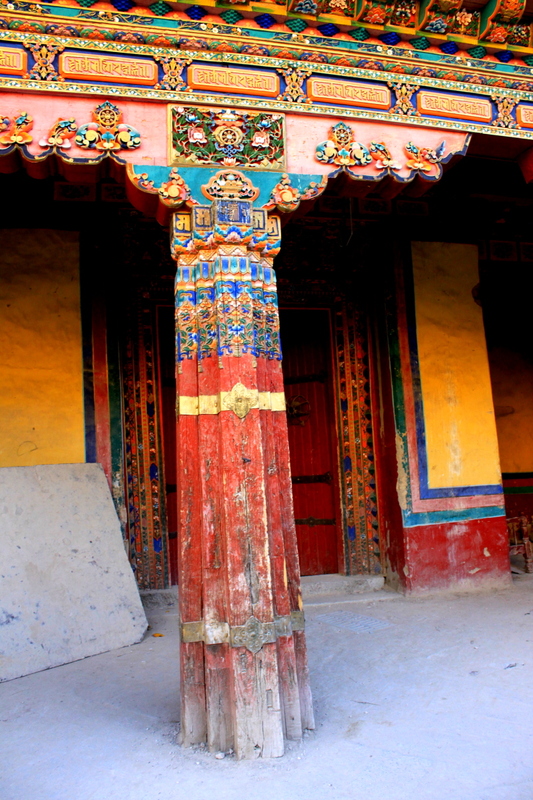 Closeup of the red-coloured stick construction. 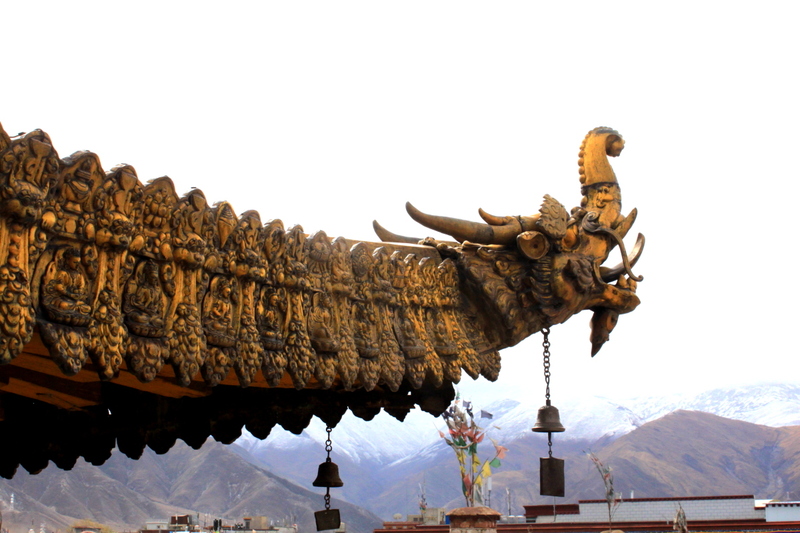 Click on the thumbnail to see a photo slideshow. 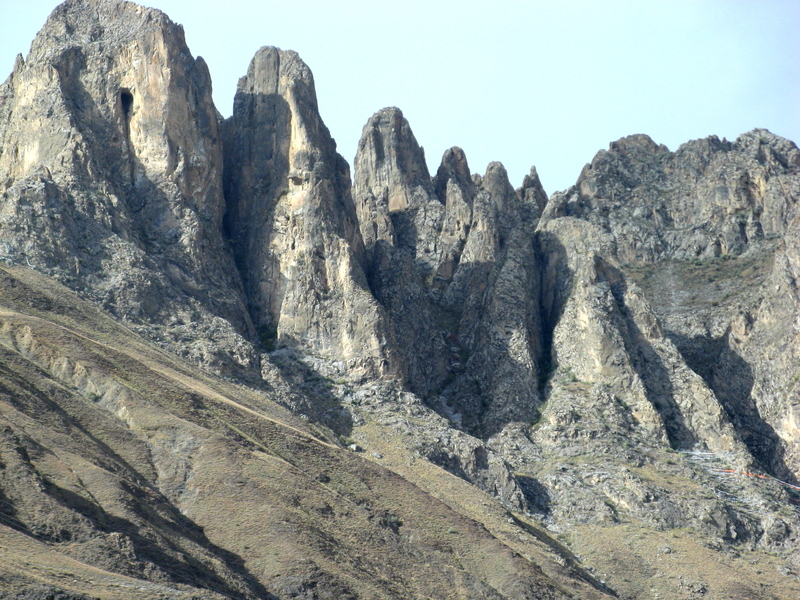 Click on the black area outside the photo to return here. 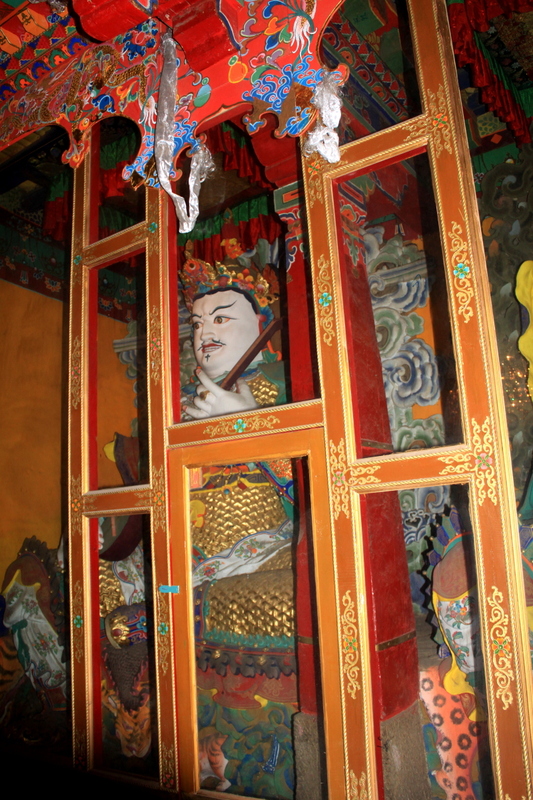 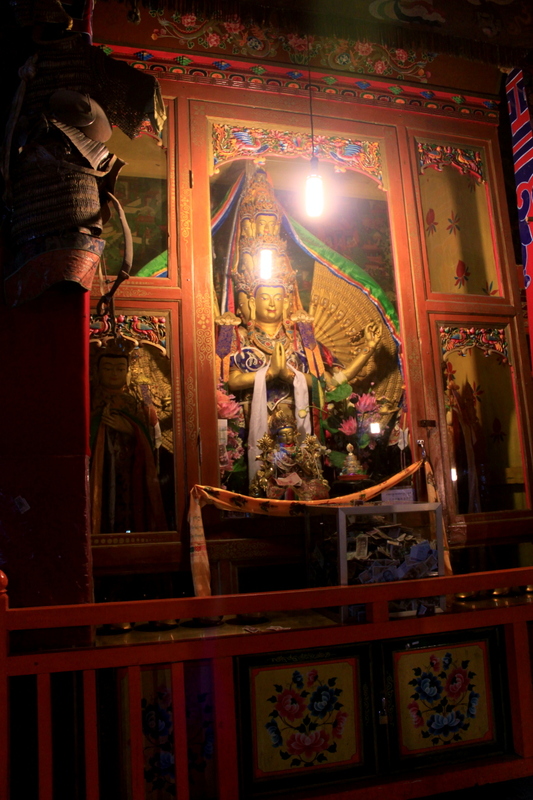 An example of one of many shrines in the side corridors of the monasteries and temples. 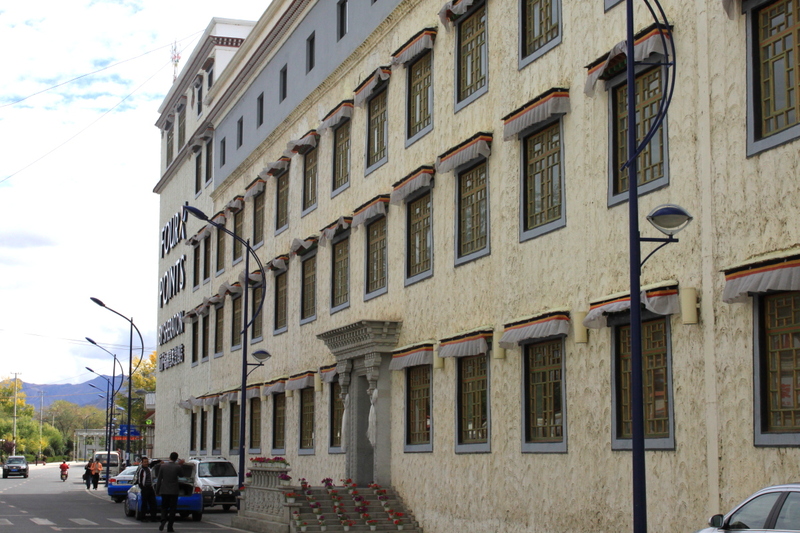 The Four Points SHeraton, our hotel – the street front view. 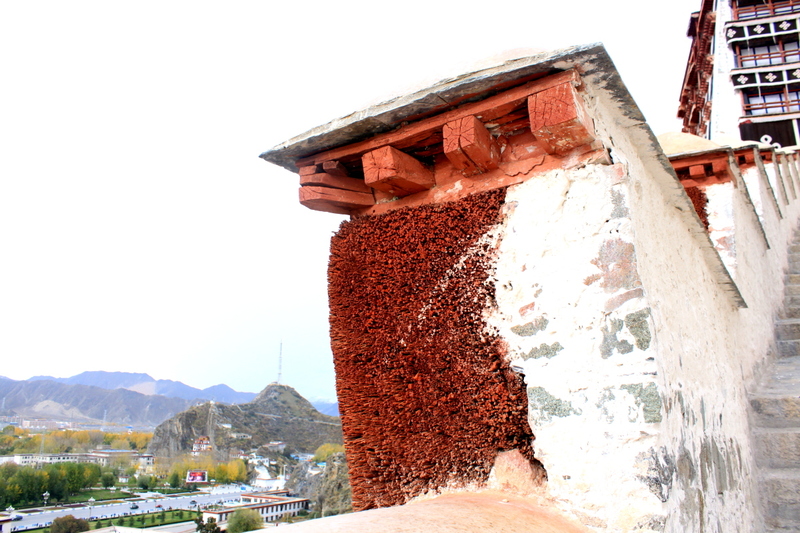 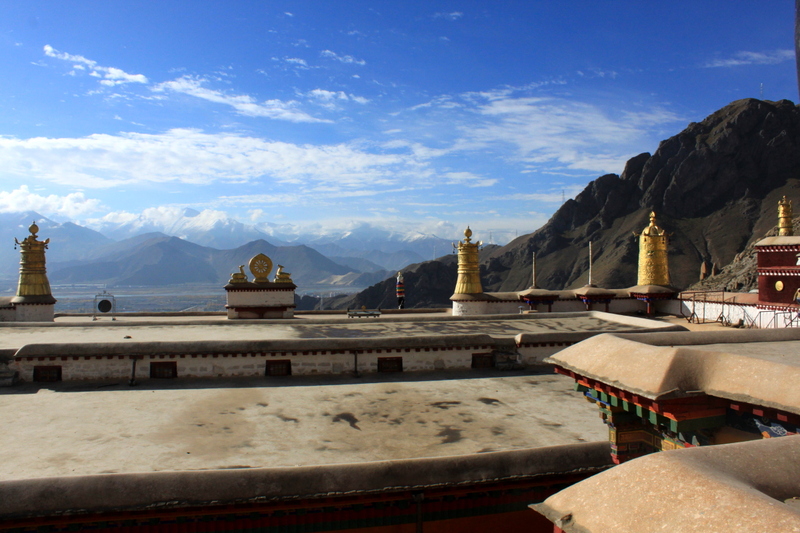 Drepung Monastery – view from the roof. 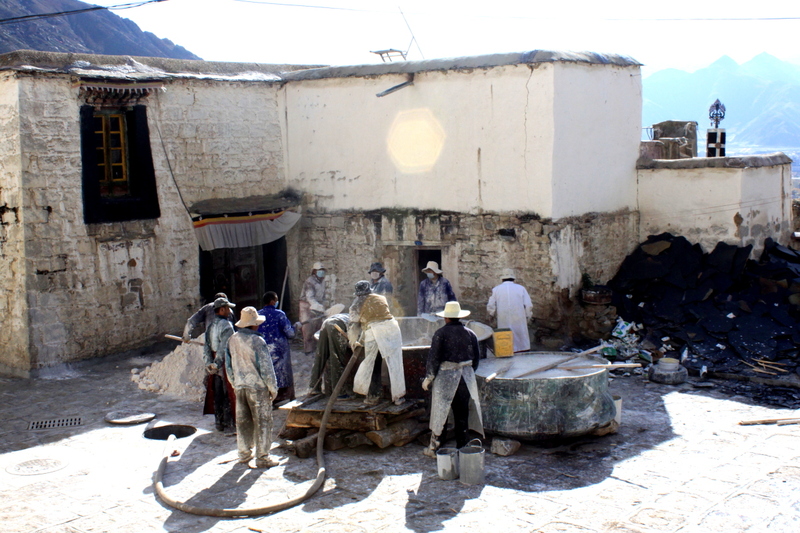 Mixing the whitewash to paint the buildings white – a very messy process. 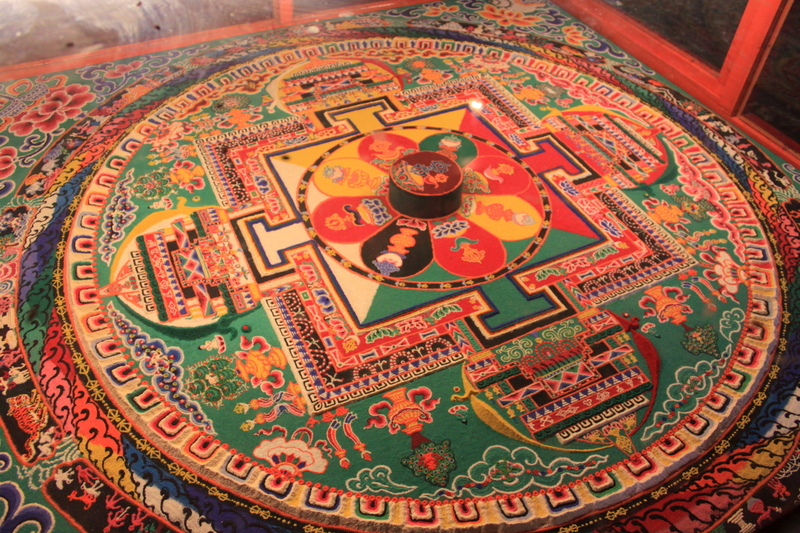 Coloured-Sand Mandala – once the work is done, eventually it is swept away to prove the futility of material endeavours. 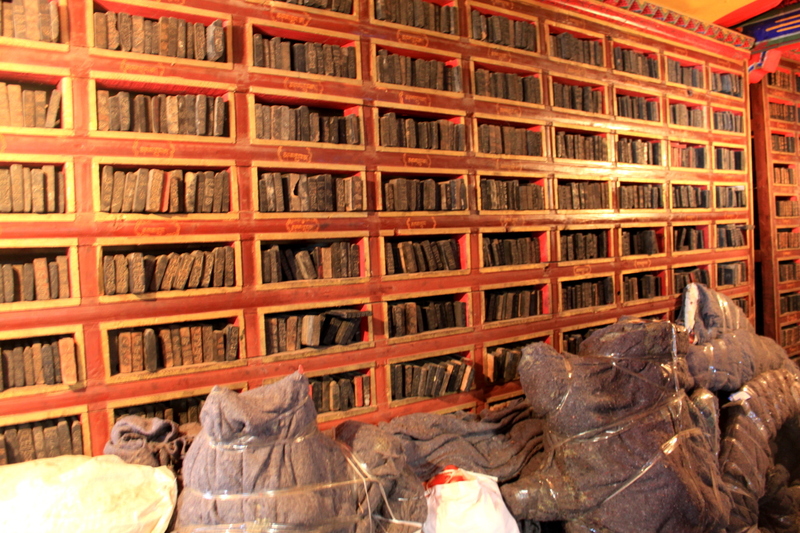 Monastery Library of ancient scriptures. 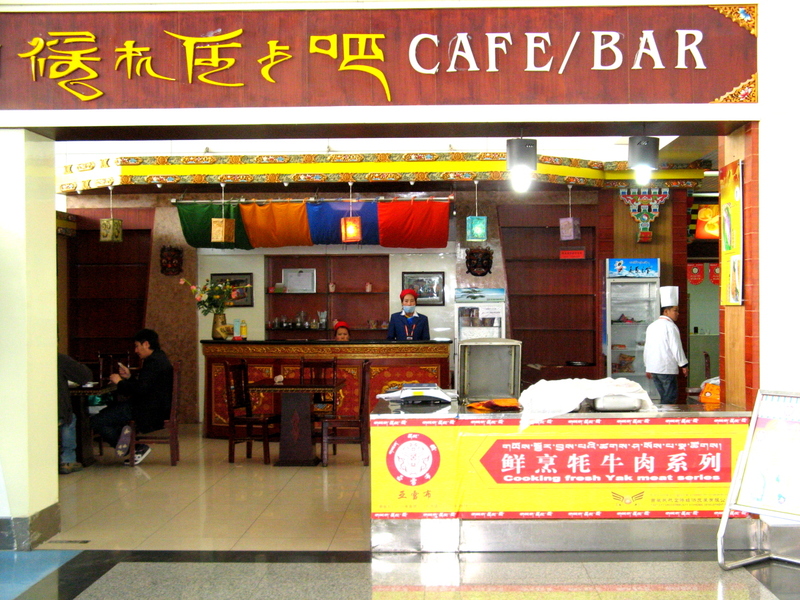 Restaurant in the airport in Lhasa – note the sign that they serve yak meat! 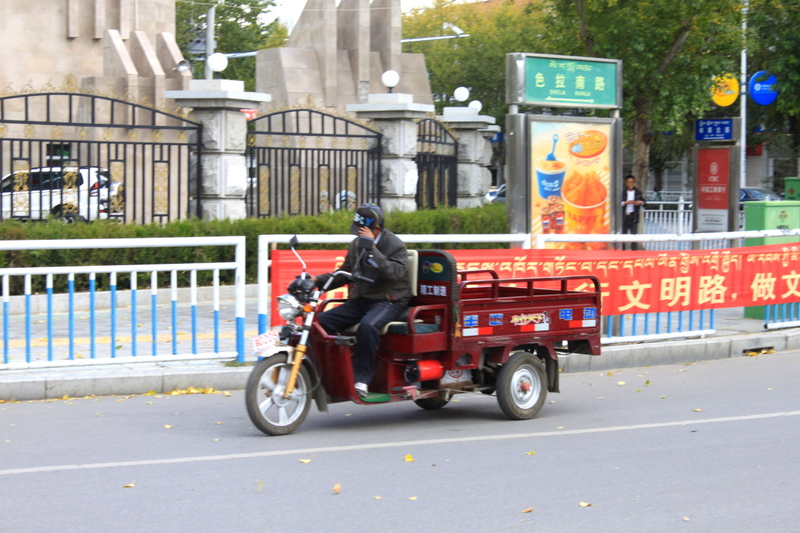 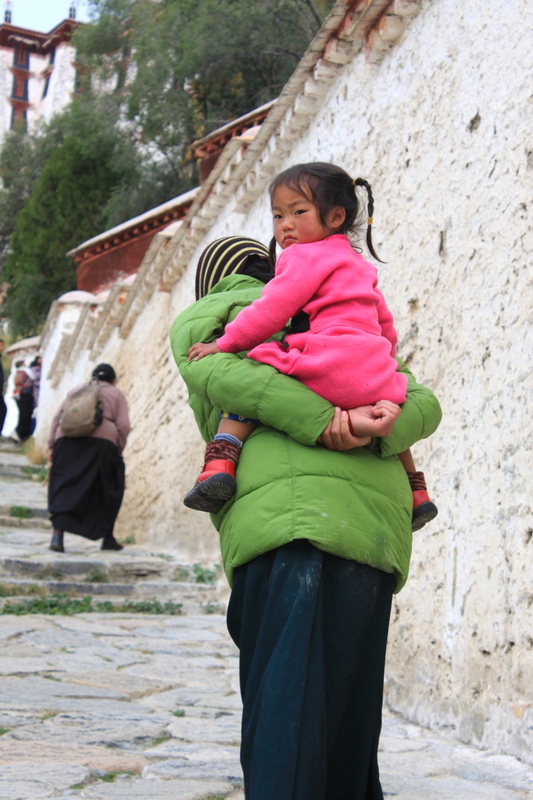 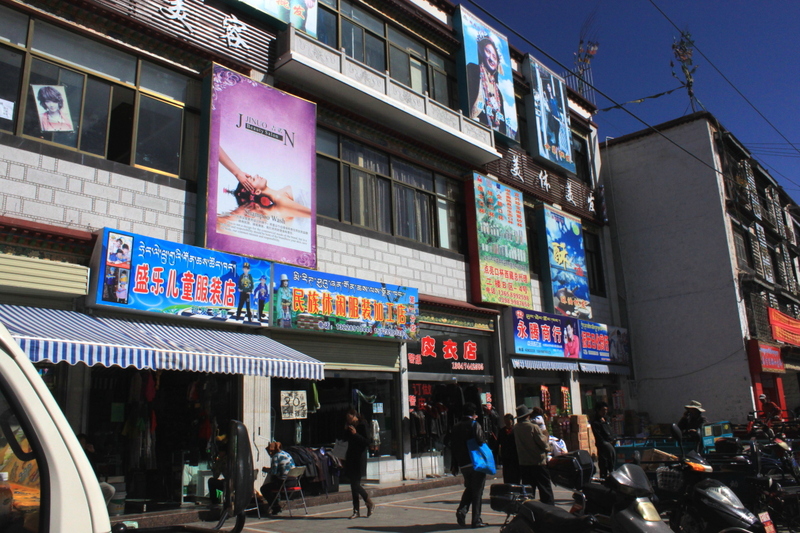 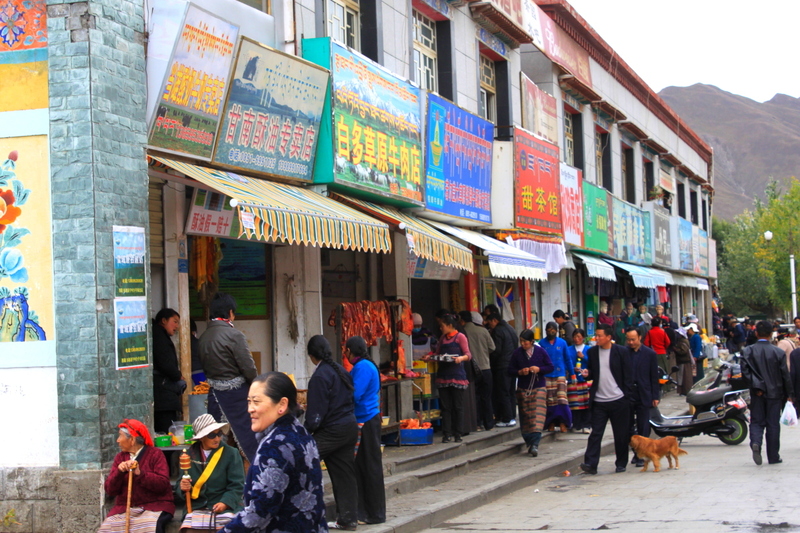 In Lhasa you will see all kinds of transportation. 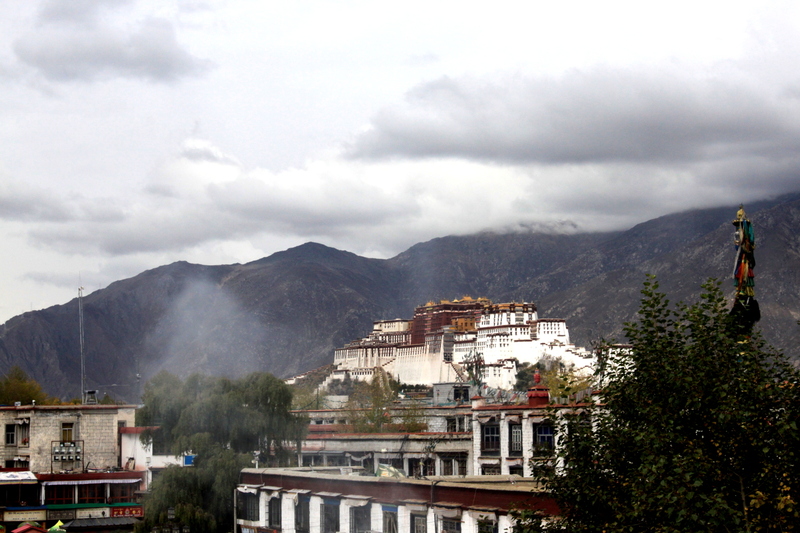 Only in Tibet does the hotel in-room minibar offer oxygen as a choice.